A short break in Edinburgh is a great opportunity for you to do some sightseeing, take in some culture and sample some excellent cuisine. In fact, with the vast amount of things to see and do, any “short” break will probably be considered too short. No matter what you’re hoping to do, Edinburgh will have something to satisfy your needs. Firstly, if history is your thing then you could go to many worse places than the National Museum of Scotland. Affordable as well as popular and interesting, the museum is home to a huge selection of all things Scottish, as well as many historical artefacts from Scottish history including those from Charles Darwin’s many adventures. If you’re more interested in art (or simply can’t get enough of museums) then the National Galleries of Scotland can see to this for you. Also, if it’s a nice day then a visit to the beautiful Royal Botanical Garden is a must. For those tourists wishing to get out and about in the fresh air, then a walk up the Royal Mile might be just the ticket. This is a lovely stretch of road which plays host to many nice bars, restaurants and shops, meaning a bit of retail therapy and letting your hair down is never too far away. However if shopping isn’t for you then walking to the top of the Royal Mile will take you to Edinburgh Castle – perhaps the pinnacle of Edinburgh sightseeing. For those people on a weekend break, visiting the castle at 1pm on Saturday afternoon will see you present at the castle for the firing of the field gun. If you have any energy left after walking up to the castle (it’s not that tiring – honest!) then a hike up to the top of Arthur’s Seat will give you breath-taking views of the entire city. Not only does Edinburgh’s tallest hill allow you the best possible view, but it is also an extinct volcano. 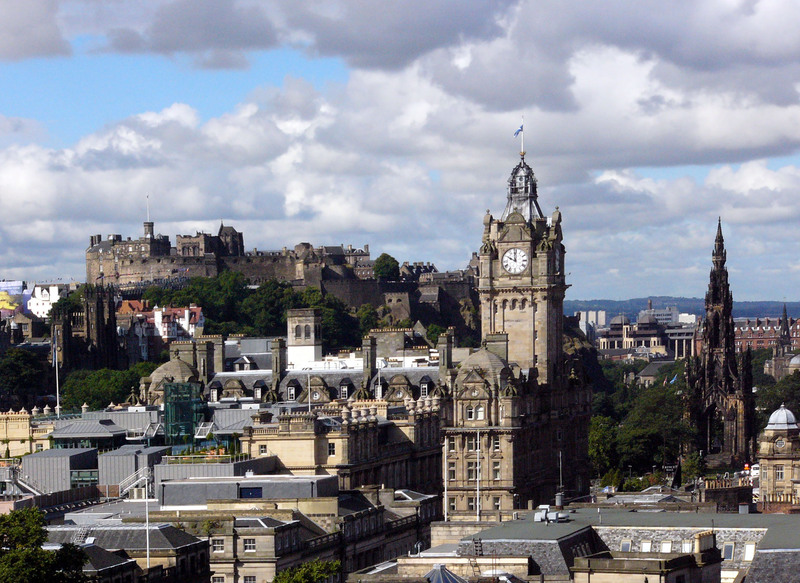 As is the case with many cities, Edinburgh has many places to eat and drink. For fans of Scotch whisky, one must-visit place is the Scotch Whisky Experience which is situated on Castlehill, in the old town area of the city. Not only does it have an excellent selection of Scotch whisky, but it can also be educational as part of the “experience” is being shown the history and the process involved in the production of Scotch whisky. What’s more, your admission also includes a dram, which means you can sample the whisky first hand for free, before deciding whether to buy more. As you can see, there really isn’t a bad time to visit Edinburgh as almost all the tourist attractions are open all year round. However, summertime in Edinburgh really is a treat. Perhaps more importantly, having an Edinburgh break in August could see you in the city for the Fringe Festival. The Fringe, which is a festival of comedy, theatre, music and street theatre amongst other things, is running in 2012 from 3rd-27th August and really does have something for everyone. However, if you’re planning to visit Edinburgh for the Fringe it is suggested that you plan and book well in advance. Many tickets to popular shows sell out in advance, not to mention the fact that many of Edinburgh’s four star hotels and the like are fully booked months in advance.